LEGO Landmarks! 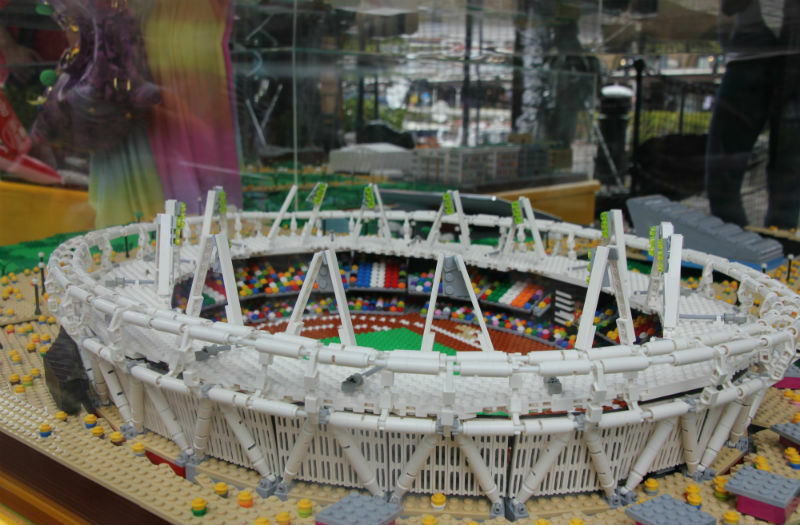 Did you know that there are a lot of worldwide landmarks have been recreated in LEGO? Well, they have and it is a wonderful way for LEGO fans to learn all about them. Take a bit of LEGO, add some incredible architecture, throw in a touch of history and boys will enjoy learning about landmarks and making some of their own. Using a homeschool unit study to learn about landmarks by using LEGO is easy for you and a lot of fun learning for your boy. There are so many wonderful landmarks to study and I think a super way to start is to take a look at these resources. Many boys are really into LEGO and enjoy seeing pretty much anything built out of them. Mix LEGO and learning and you usually have a winning combination. Let’s get started with Brick City. If you want the best overall source for LEGO Landmarks, Brick City is the book for you. 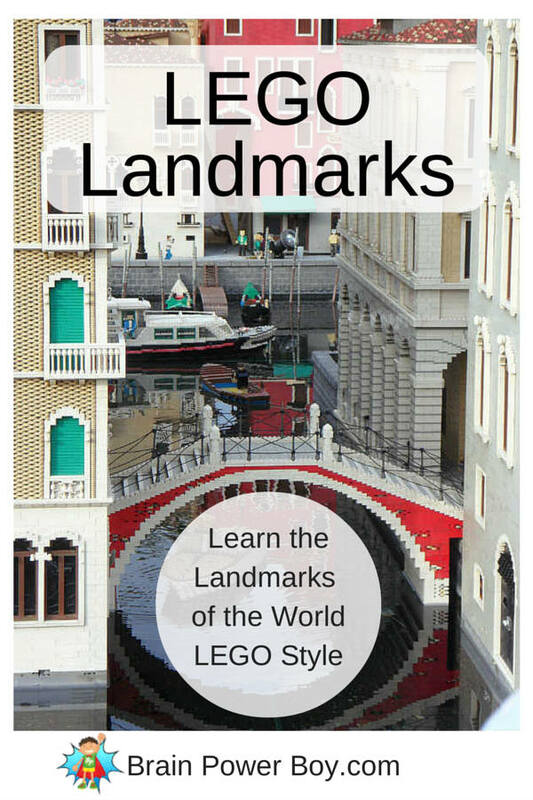 This book is great and is simply filled with LEGO landmarks from all over the world! Check out our review of the book and the interview with author Warren Elsmore for additional information. HomeGrown Learners has a great post on LEGO landmarks. It is always fun for boys to see what other boys are up to with their LEGO. Her son made some really neat creations. BrickWorm has a Pinterest board with a bunch of awesome LEGO landmark creations. LEGOParadise has a Mini Buildings of the World series on his YouTube Channel. My son has watched a lot of LEGOParadise videos. Liam does a great job of making some mini creations and giving detailed step-by-step directions for how to make some neat builds. The video below shows you how to make a mini LEGO Taj Mahal. LEGO has put out a whole series of building sets based on landmarks called LEGO Architecture. You can find sets such as The Leaning Tower of Pisa, Big Ben, The Eiffel Tower and more. FYI, these are selling out and becoming somewhat collectible so if they put out a set that you like you might want to get it right away. Web Urbanist is an online site about architecture, art and design. They have a nice article with pictures of historic moments, landmarks and even a few LEGO creations of architecture from Frank Lloyd Wright. There is also a collection of landmarks on FlickrHiveMind. Hover over the pictures for the name of the landmark. There are some really complex and detailed builds on this site. MocPages is a place to share your LEGO creations. (MOC stands for “My Own Creation”) You and your boy might want to check this out together. I am linking directly to the LEGO Landmark section. The site has a huge amount of very cool brick sculptures and creations. MocPages is a fan created site and not sponsored by LEGO. I have not seen anything inappropriate on it but you should check it out yourself. Somewhere in that section (it keeps moving around) is an old picture of Sean Kenney. He is the one who started MOCPages. You can find our interview with Sean and review of his books by clicking through the links. If you have more LEGO Landmarks to add please leave me a comment and I will take a look at them. Know a mom with boys who would enjoy this post? Feel free to use the sharing buttons–thanks! This is awesome! But my heart aches to read the word “boy” so many times, I am using LEGO’s to help home school my girls, and they LOVE them! Couldn’t you have just said “kids” or “children”? My 6 year old daughter has a very logical mind, and I know she would notice that is says “this is for boys”. I just realized that the site is named BrainPowerBoy (I got here through a pinterest link), feel free to ignore my last comment, I just hate seeing so many things that seem to forget that girls play with LEGO’s too, and they don’t have to be pink to interest girls. So sorry for my comment, I’d remove it if i could figure out how. No worries. Glad you found out I wrote about boys 🙂 I always love to hear from my readers. No need to feel sorry at all. I happen to agree with you that LEGO could do more than simply adding some LEGO in “girl” colors. I did hear they are coming out with a Female Scientist set, you can see the pin here: http://www.pinterest.com/pin/308989224407216453/ I hope I have answered your concerns. Have a lovely day. Thanks for mentioning my LEGO Landmarks post! I love all of your resources here! I think this is a wonderful resource and I’m glad someone is saying what I’ve thought for years! Can you suggest a science fair project for 6th grade using Legos?